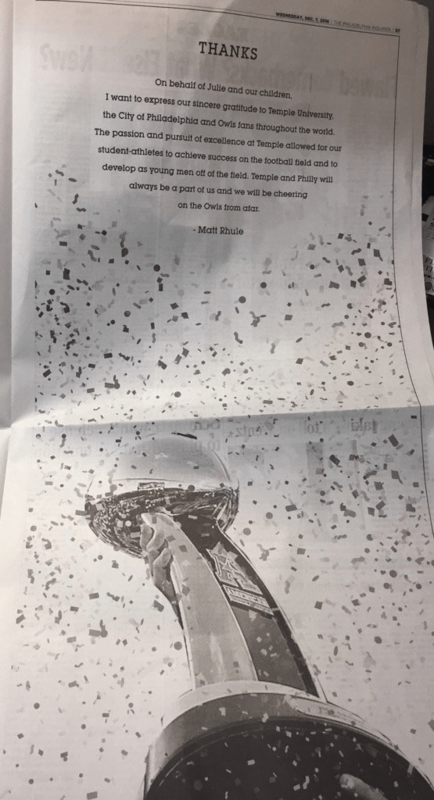 As seems to be the norm when a prominent figure in this city departs, now former Temple head coach Matt Rhule took out a full page advertisement in Wednesday’s Philadelphia Inquirer thanking the city and Temple. 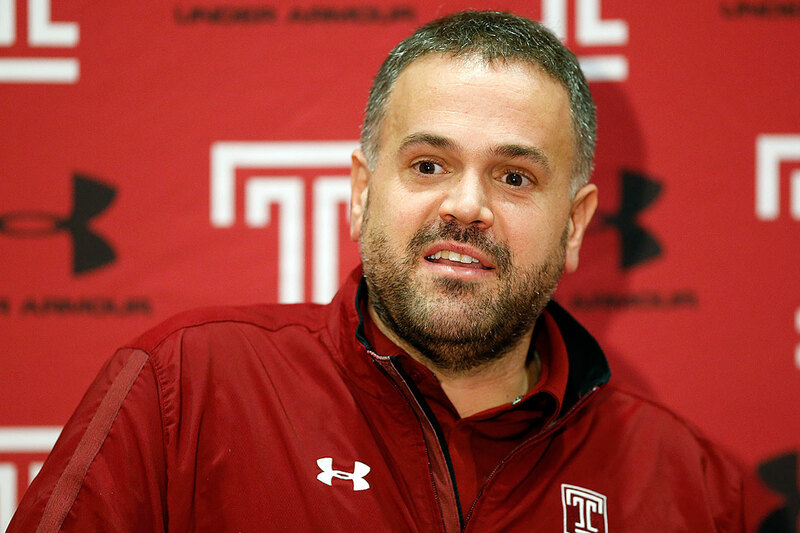 Rhule left the university Tuesday to become the new head at Baylor University even after saying that he would rather coach Temple’s players than go take big money elsewhere. Temple will play in the Military Bowl later this month as it searches for a new head coach.